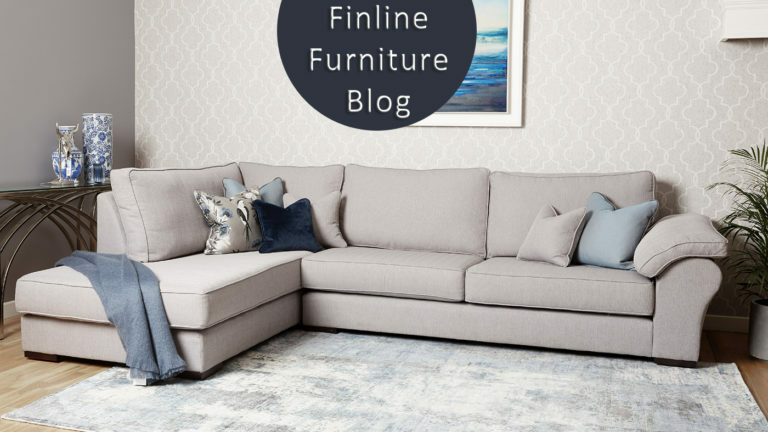 In a world of modern living, smaller homes & busy family lives, corner sofas are becoming even more popular. 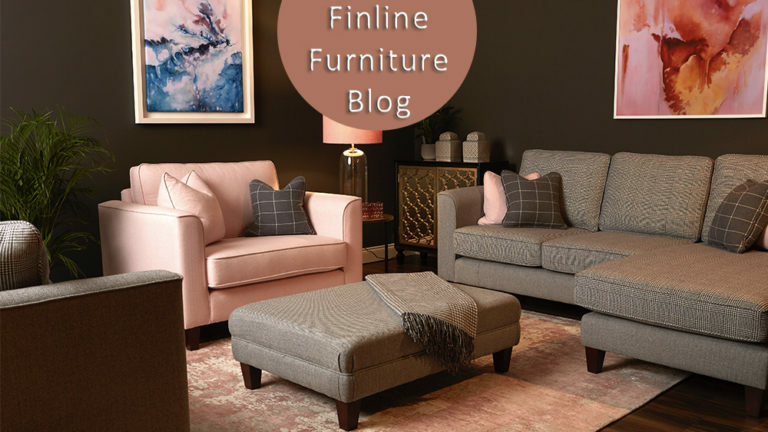 At Finline our corner sofas are designed to suit you; choose from a range of individual units to create a sofa that fits your living area perfectly. The possibilities are endless! Our Colorado Corner Collection is a customer favourite, & we can understand why. It’s deep & comfortable with a high density foam seat filling. The Colorado has a neat, tailored look with refined design details & legs in a choice of light or dark wood or a chrome finish. Or why not finish it with a chaise. You can also have an option to finish the Colorado with a narrower arm, in this case it becomes our Collins Corner Collection. When you can see under a sofa or a chair, it fools the eye into believing that room space is bigger. One of the tricks that Interior Designers use is to have a sofa on legs, rather than a base that sits almost on the ground. 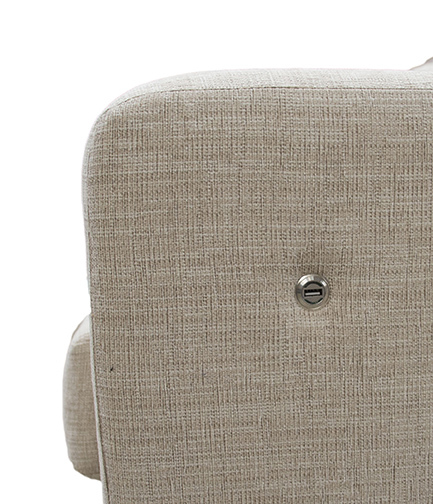 This is one of the details that makes the Logan Corner Collection a popular choice. 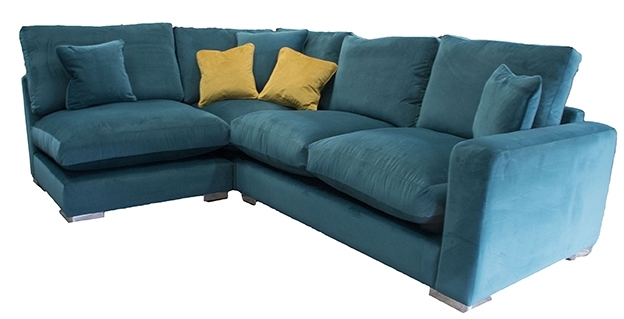 The Logan’s arms are tidy & streamlined; it is an ideal corner sofa for anyone who has a neater space to furnish, or some who simply finds a lot of models to be too deep. 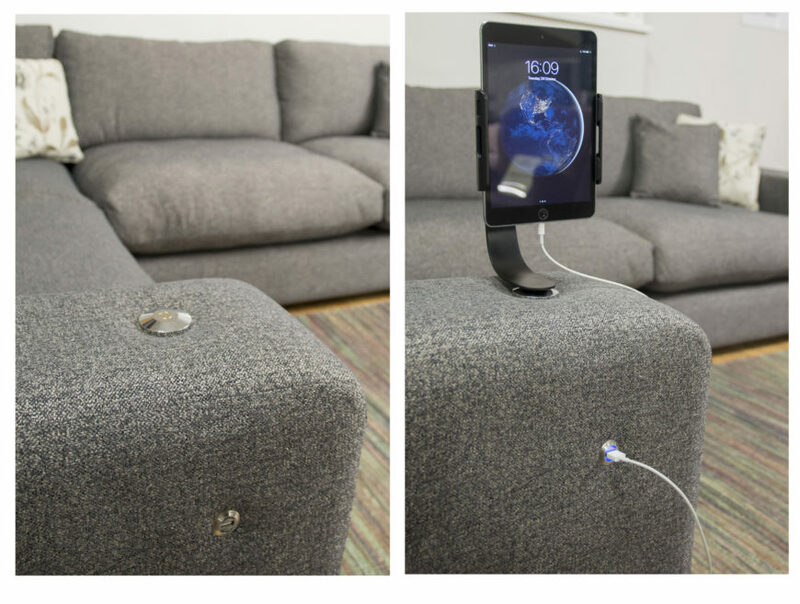 Why not finish your sofa with a new cutting edge option of a USB port & a 360° Tablet/iPad/Phone holder built into the arm. It available on our Colorado/Collins & Logan Corner Collection. 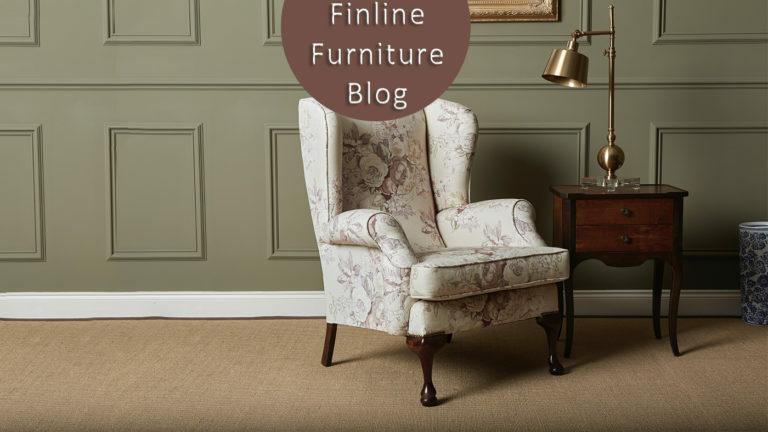 The main feature of what we developed is that it is very neat and tidy, its very functional but doesn’t take away from the look & style of your Finline piece. It is anything but gaudy. Sleek, contemporary & functional is how we would describe this new feature. It can be put on whichever arm suits you and your room. The USB and 360° Tablet Holder can be hidden away or on full display – depending on what type of techie you are. Read more on our USB & Tablet option here. The Atlas Corner Collection features the highest back of all the corner groups. Even the very tall amongst us, finds this a very comfortable & supportive model. The Atlas features a Saddle arm, which in linen, velvets or textured fabrics, gives it a very tailored Italian look. The saddle arm looks squashy & inviting, a sofa to spend the long Irish winter’s in. The Como Corner Collection was named after the famous Lake Como in Italy. The lake is narrow & sleek & bends almost at 90° just like our Como Corner sofa. Its contemporary narrow arms with accompanying side bolster, offers you a neat corner group with the comfort of any of our sofas. The Aslan Corner Collection model takes its arm from our popular Ascot Collection – it is a scroll arm but with a more contemporary finish. The front of the arm has a coated finish, & crisp piping around the edge of it. The arms are neat, so they don’t “take over” your room.